Mayur Web Technology offer you affordable Soical Media Marketing Services like Face Book Marketing, Twitter Marketing, Linkedin Marketing Services Ahmedabad, Gujarat in India. 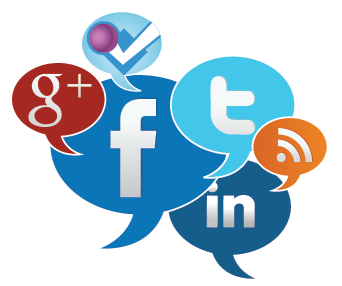 Social networking is now the major online activity for many people. That means that people are online talking to each other. While they are talking with each other, 1 of 2 things will happen: a) they will either talk about your business or b) they won’t. Do you have a scheme in place to make sure they are talking with you, and when they are talking about you, that they are doing so in a positive light? The power of a social media strategy is that it develops a community centered about your brand. It’s something you can interact with, and generate sales from, even if you turn off your Google pay-per-click advertising.